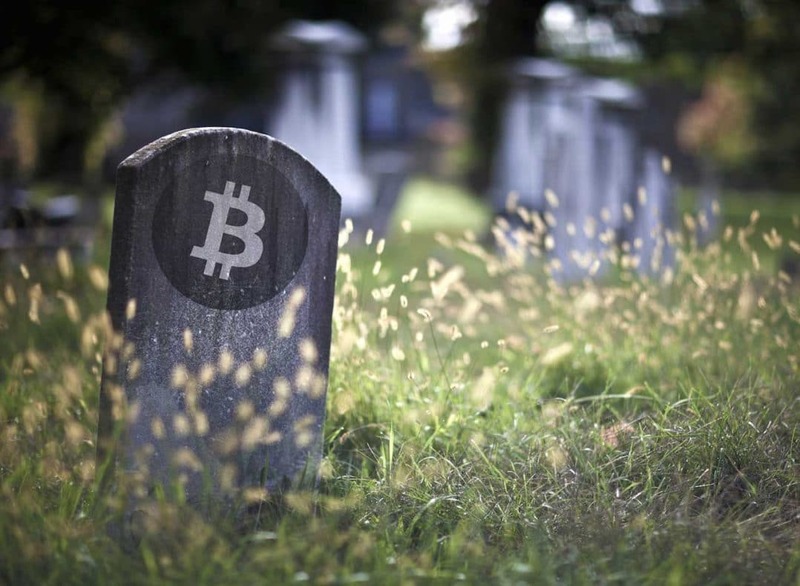 Ever since the Bitcoin (BTC) Ledger was launched in 2009 by Satoshi Nakamoti, the cryptocurrency has been declared dead a shocking 328 times. This is according to an ‘Orbituary Tracker’ on 99bitcoins.com. These things were never going to be currencies. They’re not going to be currencies at any point in the future. They’re fatally flawed. Going back in time and observing the times BTC has crashed, we find that the 2017 – 2018 bear market is the 4th time the King of Crypto has lost over 80% of its value after an impressive Bull Run. The first time BTC crashed was in 2011; the second was in 2013; and the third was a stretch of time from late 2013 to mid 2015. This explains why Bitcoin has had over 300 obituaries accompanied by never-ending predictions of its doom. 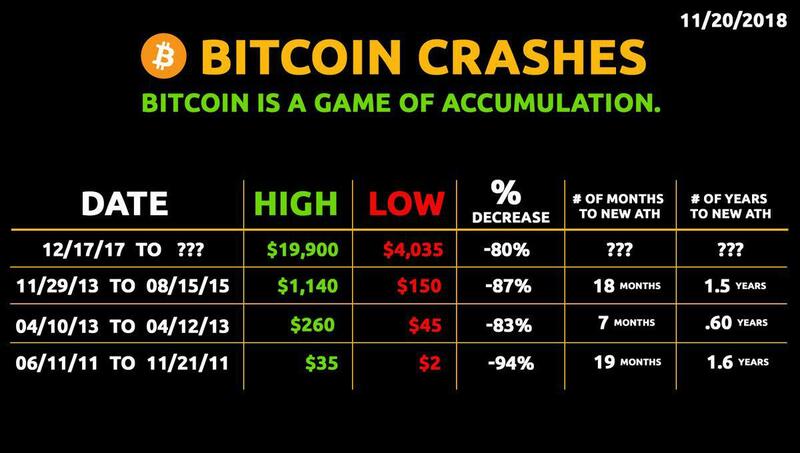 The following infographic gives a clearer picture of the past market crashes of BTC. On the 20th of November, the CEO of Binance, Changpeng Zhao, shared his experience with BTC crashing back in 2015. Mr. Zhao had just sold his house during during the third major BTC crash. He had used the funds to buy in on Bitcoin. His exact words and full tweet can be found below. It is with the past market crashes of Bitcoin that we can conclude that the current bear market will also end. BTC will once again WOW us in the markets but the exact timing of the next Bull Run cannot be narrowed down given the current market conditions and institutional investors showing reluctance to invest in crypto before Bakkt and an ETF. But the bottom line is, Bitcoin is not dead. It will recover once again. 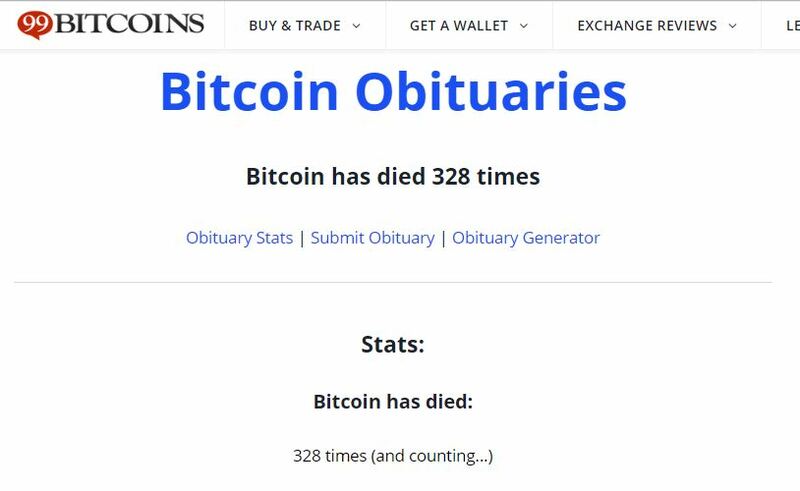 What are your thoughts on the 328 obituaries of Bitcoin? Do you think they are accurate? Please let us know in the comment section below.